What Is Plastic and How Are Plastics Made? Plastics are all around us and play a part in almost every aspect of our lives. Despite this, we don’t always consider where they come from and some may not even know how they are made. Knowing how plastics are created can help us to understand this material’s full potential and how it can be used to suit the needs of businesses and consumers. Plastic is a material that is synthetic (or semi-synthetic) and can be moulded into a wide variety of products. Typically made from organic polymers with a high molecular mass, plastics are often formed from petrochemicals. At its simplest, plastics are created by converting natural materials, such as coal, crude oil and natural gases. There are several different types of plastics, some of which are made using different methods, but with around 92% of plastics being thermoplastics, we will look at how this main type of plastic is produced. One of the main ways in which plastics are created is through a process known as polymerisation. This process may also be referred to as chain growth polymerisation. For polymerisation, or chain growth, monomers (molecules that can be bonded together to form a polymer), such as propylene or ethylene, are heated in a polymerisation reactor where they form long polymer chains. The structure and characteristics of a polymer will be dependent on the monomers used to form it. For example, polyethylene will only require two hydrogen atoms and one carbon atom to make the monomer needed to create the plastic, whereas, a more complex plastic such as nylon will need a different, and bigger combination of atoms to create the chain. Most plastics that are produced nowadays will be carbon-based polymers, so will always include a carbon atom combined with another element such as oxygen, nitrogen, hydrogen or chlorine. When crude oil is used to make plastics, it will need to be refined first, as the complex mix of compounds present within it must first be processed and distilled. Once the oil has been refined, it will form lighter hydrocarbon chains which can be used in the polymerisation process. Thermoplastics, the most common plastic type, are made from long chains of repeating molecular units. 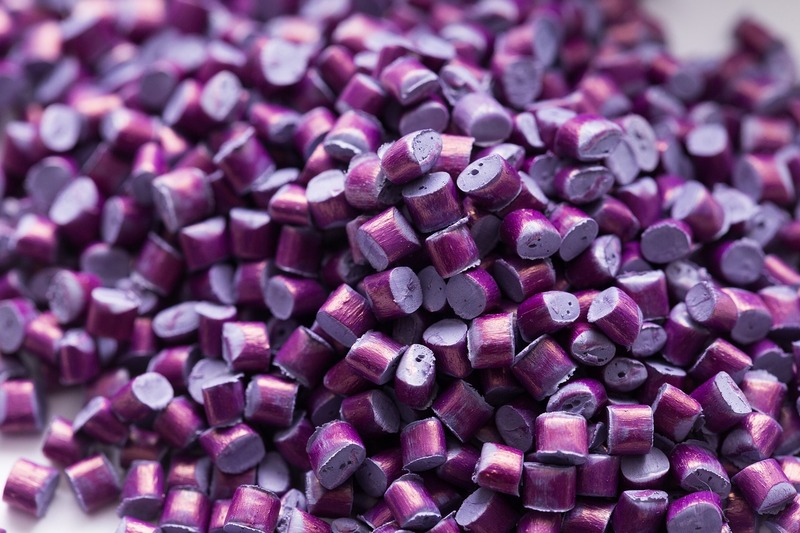 Due to their ability to be melted down, they are often used for processes such as plastic extrusion, plastic injection moulding and other manufacturing needs. This makes thermoplastics an incredibly versatile material, as it can be shaped into almost any form we need it to be in. If you think you or your business could benefit from the services we offer here at Opus Plastics, then please get in touch with our team who can let you know more about how we can transform the way you work! Previous PostPrevious What is Tube Extrusion? Next PostNext What is Mould Flow Analysis?